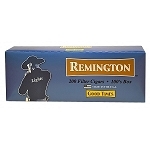 Remington Little Cigars is considered a value brand of filtered cigars due to the price, but Remington also has a superior reputation as a filtered cigar brand that provides robust flavor, exquisite aroma and a burn that is both steady and long. 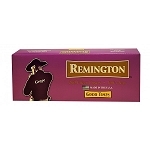 The Remington brand is owned and operated by GT (Grant Thornton) Republica Dominicana, which is based in Santo Domingo, Dominican Republic. GT Dominican uses Dominican tobacco, manufactures the cigars in the D.R. and then exports them to the United States. Remington filtered cigars are two and half inches in length, usually referred to as 100s. They’re sold individually, in packs that come with 20 cigarillos and in cartons that include 10 packs or 200 filtered cigars overall. The standard flavor of Remington filtered cigars is Full Flavor. It has a full body, smooth draw, rich aroma and a darkened filter that is otherwise similar to a cigarette filter rather than a plastic tip. In recent years, filtered cigars such as the Remington Little Cigars have become increasingly popular among cigarette smokers because it’s an easy transition and filtered cigars aren’t taxed at the same rate that cigarettes are. 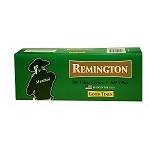 As with many cigar brands, Remington has also introduced Remington Menthols and Remington Lights, which is a mild version of the regular cigar. Remington filtered cigars are also available in wide range of flavors, which are a popular option for after dinner or when enjoying a filtered cigar with wine or fruity drinks. The most subtle of the available flavors is Vanilla, which provides a rich vanilla aroma but only a touch of vanilla in the taste. Vanilla is a good anytime filtered cigar and an alternative to the full flavor. The next most subtle flavor is Rum, which is similar to Vanilla in that it provides a robust aroma but only a subtle touch on the lips and tongue. The main difference between this and Vanilla is that Rum is sweeter and has what you might refer to as a golden flavor. For smokers who prefer a stronger flavor, Remington filtered cigars are also available in Peach, Strawberry, Grape and White Grape. Grape is sweet and has a strong grape flavor, and White Grape is an option for smokers who want less sweetness and a more subtle flavor. Both Peach and Strawberry are wonderfully strong and offer a taste that is as equally vibrant as the aroma they provide.